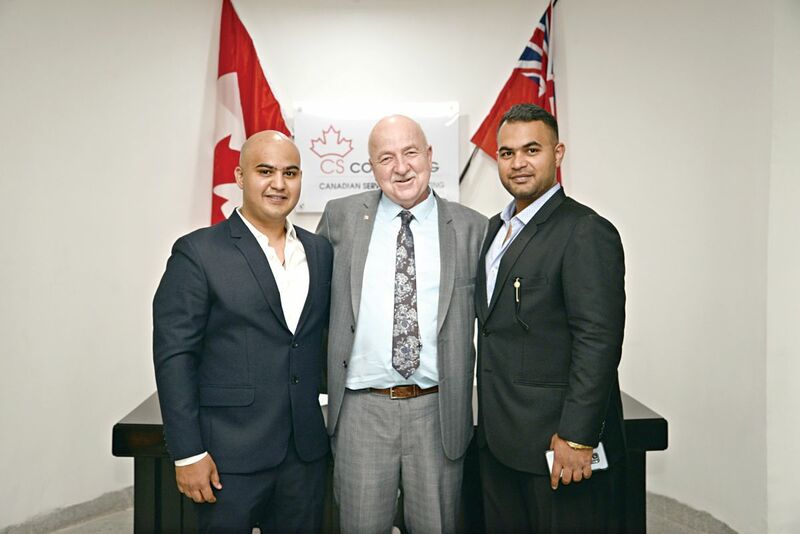 Canadian Services Consulting has launched its new office in Banjara Hills to provide services to students seeking education in Canada and individuals or families wishing to immigrate to or invest in the country. Ted Lojko, the mayor of Gananoque, Ontario flew to Hyderabad to officially launch the office. Canadian Services Consulting is owned and operated by Canadians who emigrated from Hyderabad almost 20 years ago and want to assist local residents to navigate the Canadian immigration system. Faiz Askari Syed, who has vast experience providing assistance to students and immigrants alike, will be overseeing the new office as the manager, along with Qayam Askari. On the day of the launch, Ted Lojko took some time out to chat with us. What’s your take on the present state of India-Canada ties? The ties between Canada and India are very strong. In Canada, there is a large Indian population. There are people from different parts of India, who are crucial for the Canadian economy and workforce. There is a large Indian student population as well; around 1,74,000 students came in 2018. On a yearly basis, lots of students come to study and work in Canada. In what ways do you plan to encourage the collaboration between the two nations? Organisations like Canadian Services Consulting are an important first step in encouraging students from different parts of India to come to study and work in Canada. By encouraging such people, they are also helping some parts of Canada where there is a need for labour. The stronger the ties are between the two nations, and the happier the people are who move there and study there, the more beneficial the results will be for both Canada and India. What are your views on the ties between the state of Telangana and Canada? Having solid ties between Telangana (and other states throughout India) and Canada is essential, since we need people from different cultural backgrounds in order to maintain a balance. Right now in Canada, there is a large population of Sikhs and Pakistanis. We need people from different cultural and religious backgrounds and, likewise, people should respect Canadian cultures, too. One important quality in Canada is that women are treated equally; they have equal pay and rights. What are your expectations from Canadian Services Consulting? The consultancy will look for students who will play a crucial role in the growth of our economy (they might also invest). The owners of the consultancy are both Canadians and have lived in Canada for 20 years. Hence, they will be able to assist people in the right direction. Therefore, this particular consultancy has an advantage over others based in India. Are you taking any special measures to smooth the immigration process for applicants? I’m personally not taking any special measures. The reason I am here is just to support my friends, the owners. Basically, I help guide people regarding what colleges to look for and where to find employment in Canada. I am here to provide insight into what is happening in Canada, and to ensure that people are guided in the right direction.